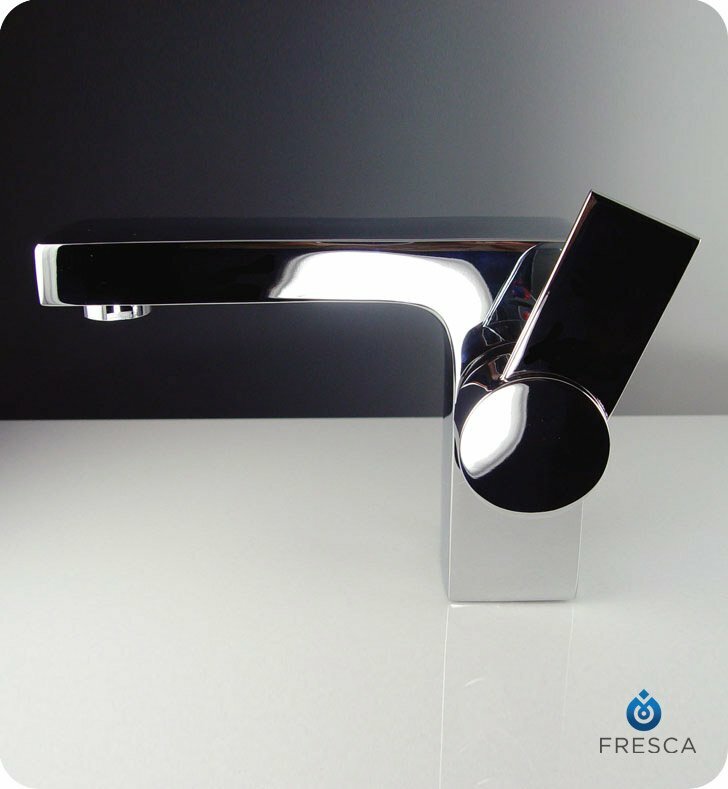 Update your bathroom with a Fresca Isarus Bathroom Vanity Faucet in chrome, model FFT1053CH. The curved right angle design and added wedges make a bold statement. Each single hole bathroom faucet is constructed from solid brass. The faucet also features a water-saving function and a ceramic mixing valve. 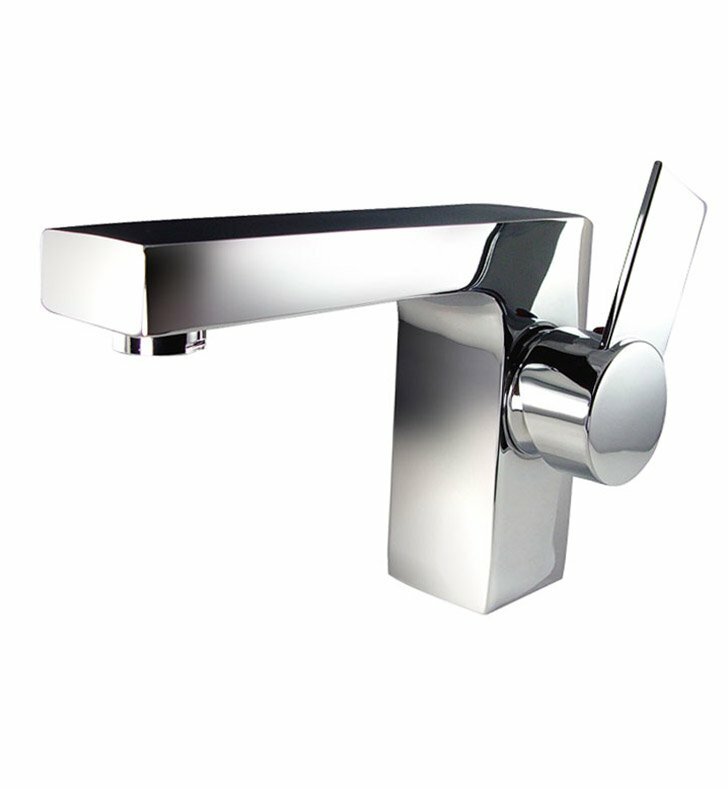 Your chrome bathroom faucet has a triple finish that retains its good looks. The faucet measures 3 1/4"W x 7"D x 5"H, and it comes complete with a limited lifetime warranty. Cons: Large focal point piece of hardware may be too large for most sinks. Incredible value for the money with top of the line design. Surprised how stylish this faucet is, especially since it was part of the vanity set. I was able to chose among several faucets, all pretty sytlish. This faucet was also solid and heavy in the hand, not light and flimsy feeling. No problem with the faucet, works as expected. This is a seriously beautiful faucet. I love it! I first ordered 2 matching faucets. One of the two were faulty. I had a new one shipped out and the "design" had changed slightly.